JS McLennan was of Scottish ancestry. His great-grandfather, Murdoch McLennan, headed a group of one thousand people who left Scotland bound for North America. They landed in Quebec in 1802 and soon the McLennans settled in Lancaster, Ontario where John Stewart's grandfather, John, became a schoolmaster. John McLennan was the father of several children. His son, Hugh McLennan, would be JS's father. Hugh McLennan was born in Lancaster in 1825. He was described in the family history, compiled later by JS, as a quiet but determined child. As a boy, Hugh began working on the estate owned by family friends, the Stewarts of Van Kleek Hill, Ontario. It was here, at the precocious age of fourteen, that Hugh fell in love with his future wife, Isabella Stewart. Leaving the familiarities of the farm and comforts of home, at the age of seventeen Hugh headed for Montreal where his older brother, John Jr., was already situated. He began working at the office of Scott and Shaw, a firm of hardware merchants, but he left that business after two years when he was given a salary reduction. He drifted home to Lancaster. However, he got a second start when he was given his own farm by his maternal grandfather. On August 25, 1846, with fifty dollars, Hugh set out for his new home at Loch Garry, near Kingston, Ontario. Despite the security of farming, Hugh was drawn to working in town as a merchant shipper. He befriended a man named Captain Lawless, owner of a shipping vessel. At one point, Lawless became ill and trusted Hugh to run his business for him. Lawless's boat, Canada, made successive profits under Hugh's direction, despite his youth and inexperience in the shipping trade. By 1847, Hugh was working in Prescott, Ontario as an agent for a stage coach company. He began seeking new opportunities and drifted between Kingston, New York, and Toronto. Returning to Kingston, Hugh resumed working under Captain Lawless, but was denied the right to purchase the Canada from Lawless as the captain feared McLennan was too young. Despite this perception, working in this business expanded Hugh's horizons. He blossomed from a shy youth into a confident, charming young man with many acquaintances and friends. In Kingston, Hugh rented the mail wharf that dealt with the Great Lakes mail boats. Though he made a good profit from this endeavour, he decided to leave Kingston. He felt Kingston was too small and his profits were too dependent on the whims of others. He invested in the boat the SS St. Lawrence and moved to Montreal in 1851. Here he became the custom house agent for the American Line to Ogdensburg, NY, as well as the agent for the St. Lawrence. His profits allowed him to rent an office and hire two clerks. Settled in Montreal, he finally married his sweetheart, Isabella. Their first child was born in 1852 but unfortunately died soon after. A son, John Stewart, was born November 3, 1853. In all, thirteen children were born to Hugh and Isabella, nine surviving infancy. 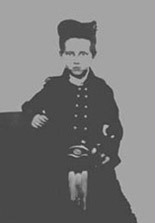 JS McLennan as a young boy dressed in traditional Scottish attire. Hugh continued to handle his shipping and mailing interests, but he also dabbled in other areas, including a cement business. In 1856, the family moved to Chicago where Hugh began a pork and bacon business. A bank crash in 1857 meant money became tight and people began buying less. Hugh managed to hold on to his interests and escape debt by working more hours himself. This was a great lesson to his children about hard work and determination. Using loans and his good business sense, Hugh turned around the situation and came out of the money crisis with a huge profit. He also escaped relatively unscathed through the next economic upheaval, the American Civil War (1861-1865). JS, later in life, would recall the outbreak of the war and how he told his father he believed the underdog, the South, should win. The young boy was immediately corrected by Hugh, who said that the North should win because it had the "right cause". In 1867, the year of Canada's Confederation, Hugh moved his family back to Montreal where he continued his interests in trade and shipping various products such as grain. It was as a grain exporter that Hugh made his real wealth. He also became involved with the Montreal City Passenger Railway Company. The McLennans certainly made their mark on the Montreal business community. Between Hugh and his brother John, the two were presidents of the Board of Trade of Montreal for a total of twenty-five years. By now, Hugh's son John Stewart was preparing for university entrance. JS attended Montreal High School and went on to McGill University in the fall of 1870. Hugh wished to see JS prepared for a career in business. However, at McGill, JS was drawn toward matters literary and philosophical, graduating with a first-rank honors degree in Mental and Moral Philosophy, in 1874. JS was also awarded the Dufferin Medal from McGill. Continuing his university studies at Cambridge University, England, JS concentrated in the Moral Sciences Tripos, consisting of lectures in moral, political, and mental philosophy, logic, and political economy.1 In 1879, JS graduated with honours with a second bachelor degree. With his formal education completed, JS returned to Montreal and began his next course of study, the grain business, under the tutelage of his father. 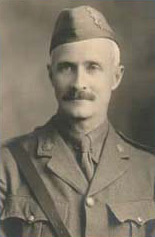 JS McLennan was a member of the Canadian Armed Forces prior to his stay at Petersfield. This is one of the few pictures in the McLennan Collection that shows JS in uniform, as his military career was short. Permission is granted to quote, copy, or otherwise reproduce the materials in this Web site, provided that appropriate credit is given and the copyright notice is retained. The contents of this site may not be sold for profit or incorporated without the written permission of the copyright holder. For more information, please feel free to email us at inssc@nssc.library.ns.ca.